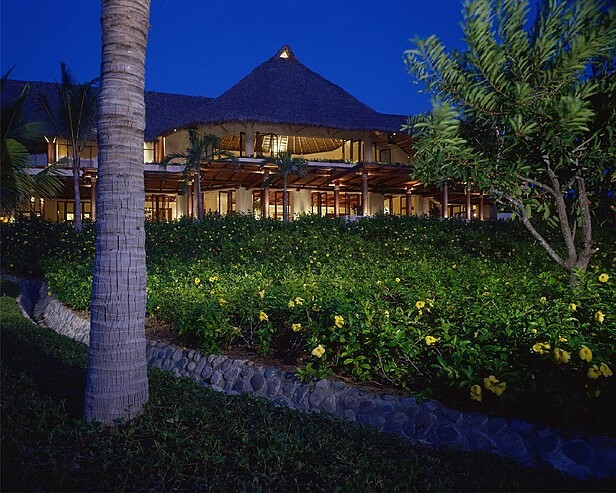 Sitting on 26 beautiful acres, there are 173 guest rooms at the Four Seasons Resort Punta Mita, located less than an hour from Puerto Vallarta. The rooms are loaded with high-tech features, including plasma televisions, DVD and CD players, computer/fax connections, two-line telephones and high-speed Internet access. The Pacifico Golf Course at Punta Mita, a Jack Nicklaus design, was named the No. 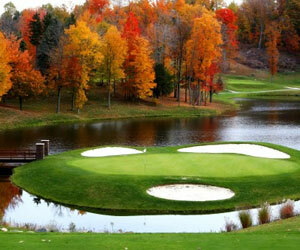 1 golf course in the world by Conde Nast Traveler in June 2008. Does anything else need to be said? After your round of golf, dine at Tail of the Whale, located on the upper level of the golf clubhouse. The restaurant has great views of the Pacific Ocean as well as the golf course. When you're not on the course make sure to check out the Apuane Spa. The word apuane means "healing waters," and its signature treatment takes place under a Vichy shower while two therapists work together to massage away your stress, the perfect way to enjoy a stress-free vacation. 29 Different courses, 4 private clubs and 12 different accommodation options makes this package customization for any size group.